“Toxic mold” is a term used to indicate types of molds that are considered harmful or deadly to humans. “Toxic mold” and “Black mold” are both used to describe many different types of mold that can be harmful to humans. They produce chemicals while they grow than can be toxic or poisonous. Mold grows in dark, moist areas. It can grow on almost any type of surface, as long as there is oxygen and moisture present. Mold is not always easily noticeable or found. It can form in hidden areas, such as wall paneling and above ceiling tiles. Different species of mold can cause different levels of reactions and illnesses, ranging from sneezing and congestion to potentially deadly diseases. The severity of the reaction depends on the concentration of mold and the amount of time exposed. Stachybotrys is considered the most dangerous and deadly of the Toxic Molds. It is green-ish black and can grow on building materials that have been exposed to moisture. Exposure to this type of mold can cause reactions as severe as liver, brain and nerve damage and even death. Cladosporium, Peniculium and Fusarium have all been linked with problems such as nail fungus, infections in major organs and asthma. Aspergillus is the least harmful of the toxic molds. 1. Always wear proper protection when cleaning mold. Mold has spores that float in the air and can be inhaled, so wear a mask or respirator when cleaning. Always wear gloves and protective eye wear to prevent irritation. 2. Mold is caused by moisture. If you clean up mold but don’t address the moisture issue, it will likely not solve the problem. Be sure to clean and thoroughly dry surfaces to keep mold from coming back. 3. There are several household cleaners that can be used when cleaning moldy surfaces. Bleach, vinegar, borax, ammonia, baking soda and hydrogen peroxide can all be used to aid in removal of small amounts of mold. 4. If the mold covers more than 10 square feet, call a professional. They will be able to remove the mold more effectively and keep the risk of exposure to a minimum. Toxic molds are extremely dangerous if their growth is not stopped and they are not removed from homes. 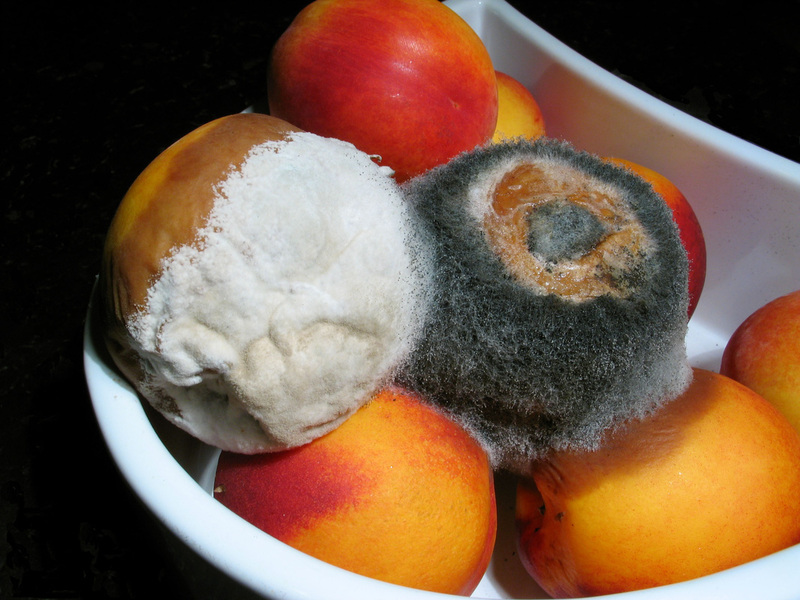 Never try to determine the type of mold for yourself. Contact a professional to test the mold.